Breakthrough vocalist Kane Brown celebrates his third career #1 single on country radio this week, with the Gold-certified hit, “Lose It.” Co-written by Brown, Chase McGill and Will Weatherly, “Lose It” is the first single off of Brown’s #1 debuting (Billboard 200 and Top Country Albums charts) sophomore album, Experiment. With the November 9th release of Experiment, the three-time American Music Award winner became the third country artist this year to reach the summit of the Billboard 200 and the only male country artist in 24 years to debut on top of the Billboard 200 with a sophomore release. “Lose It” follows Brown’s 3X Platinum, multi-week #1 hit, “Heaven,” which was honored this week (12/1) by Variety Magazine as one of the most-streamed songs of the year in all music genres. Both “Heaven” and Brown’s 4X Platinum #1 hit “What Ifs” appear on the breakout star’s 12-week #1 Platinum-certified self-titled debut album. 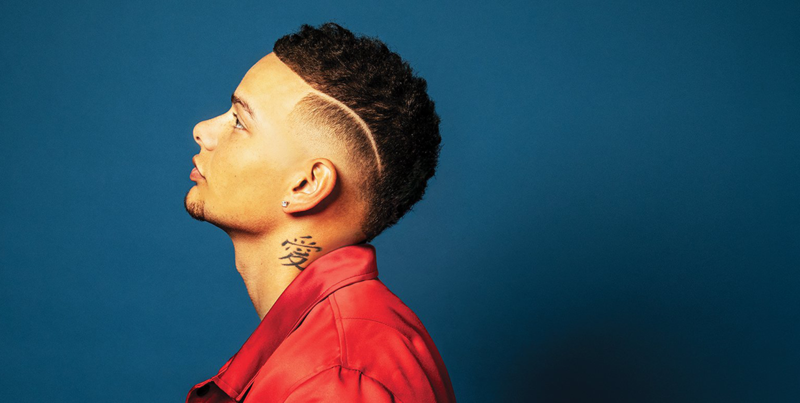 Two weeks ago, Kane Brown’s “Lose It” dethroned Bebe Rexha and Florida Georia Line’s “Meant To Be” after a record 50 weeks atop the Billboard Hot Country Songs chart, a similar feat to when his “What Ifs” featuring Lauren Alaina halted Sam Hunt’s then recorded-setting 34 weeks at #1 with “Body Like A Backroad.” Brown is the first artist to lead the Billboard Hot Country Songs and Top Country Albums charts simultaneously since he did so in October 2017 with “What Ifs” and his debut album. Noted as “one of Nashville’s most promising young stars and also one of its most flexible” (The New York Times) the 25-year-old singer-songwriter continues to earn rave reviews for Experiment. “(Experiment) channels…musical confidence…it proves why Brown has become one of the genre’s hottest up-and-comers” (Rolling Stone). “…with his new album, Experiment, Brown is about to become inescapable, arguably changing the future of country forever,” (Billboard). To stream or download Experiment, visit HERE.